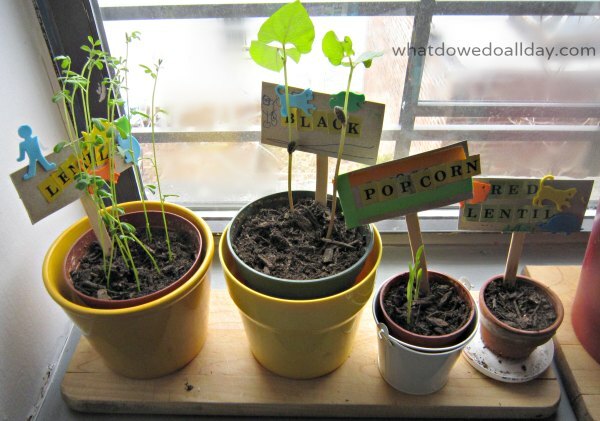 This week I shared our indoor plant science observations and one of the ways the kids made their window garden special was to make plant markers to label each pot. We kept it very simple. 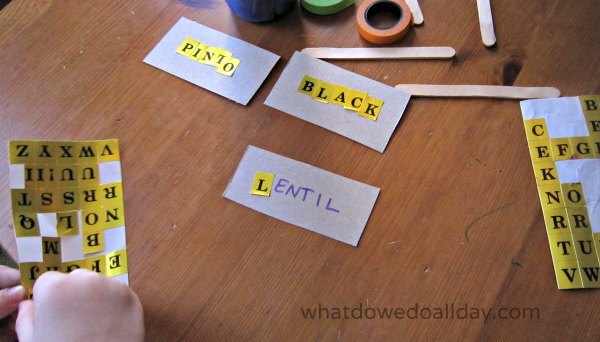 You know by now that all my artsy-crafty projects are super simple. 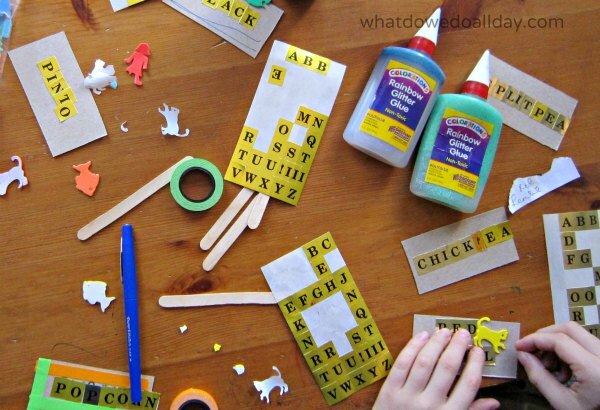 The purpose of a post like this is not to encourage you to imitate our exact project but to share how easy ideas to keep the kids entertained are always right around the corner. 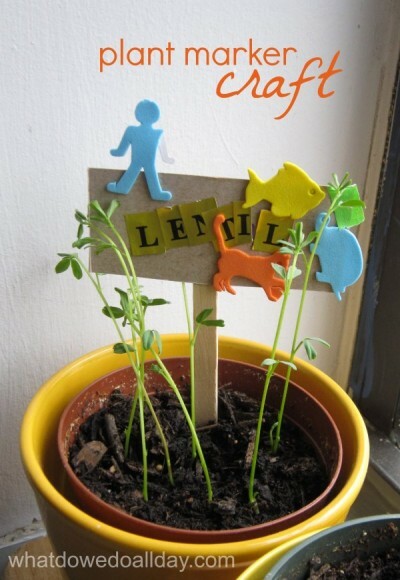 Use whatever materials you already have at home to fashion your own one-of-a-kind plant markers! Since this is an indoor garden project, we didn’t need the markers to be weatherproof. The basic structure is a rectangle of cardboard glued to a wooden craft stick. I cut up a cracker box and it was perfect. I wanted the boys to decorate them however they wanted so they dug through our sticker box and added a bit of glitter glue for some added bling. For my 5 year old, I wrote down the name of the plant and he applied the corresponding letter sticker on top. See how I snuck in a bit of literacy right there? I think they add a bit of fun to our window. What do you think?